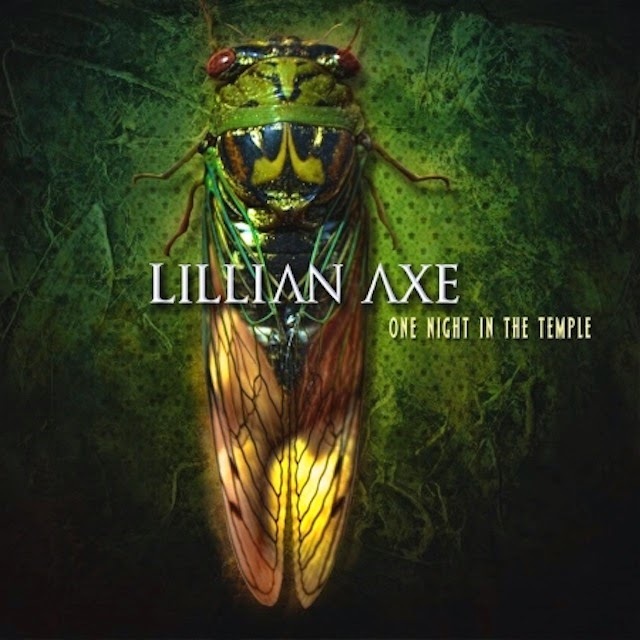 Hall of the Mountain King: Review: Lillian Axe, "One Night in the Temple"
The biggest of the latter might be “Crucified” from the band’s underrated 1993 effort Psychoschizophrenia. It’s a very heavy, driving song that wouldn’t seem to translate when you hear it in its original form, but here they turn it into a rollicking acoustic number that loses none of the energy. Not all of the heavy songs work as well. “Death Comes Tomorrow,” from The Days Before Tomorrow isn’t bad in acoustic form, but it’s one of my favorite songs from that record, and I think it loses something in translation. At other times, the band takes a little different approach to make the song work better. On “Show a Little Love,” they open with a grooving, blues-rock influenced bit instead of the big, bombastic opening of the original, and it works well. It’s no surprise that Blaze’s shimmering ballads work very well in this setting, but even among those there are some truly stunning moments. The crowd is visibly moved during a performance of “Bow Your Head.” The song was dedicated to Tripp Roth, who died at age 2 of a rare skin disease, and Tripp’s parents were in the audience for the performance. The acoustic setting is a particular challenge for new singer Brian Jones, as it shines a spotlight on his performance, and he gets a tough assignment early in the set on “Ghost of Winter,” where he will, no doubt, be compared to long-time singer Ron Taylor who originally sang the song on 1989’s Love + War. Jones, for the most part holds his own there and elsewhere on the record. He has a great tone, though his over-enunciation of the lyrics can be, at times, distracting. I’m admittedly one of those Ron Taylor fans, but by the end of the DVD, Jones had won me over completely. A stunning performance on the ballad “Until the End of the World” from 2007’s Waters Rising may be his finest moment here, and it’s probably as good as the song has ever been sung. Of course, for every Ron Taylor fan like me, there’s a guy from South Louisiana who will tell you that the band hasn’t been the same since original singer Johnny Vines left. Those folks get a treat on One Night in the Temple as Vines, who has since reunited with Blaze in Circle of Light, makes a guest appearance on the band’s signature tune “Misery Loves Company.” He returns toward the end of the set to share time with Jones on the ballad “Nobody Knows,” which also gets a separate performance with a crowd sing-along treatment. Interspersed with the performance on the video portion are scenes from soundchecks, backstage and a fan question-and-answer period before the show. Some of them are interesting, others seem a little unnecessary, but they do add to the overall atmosphere of intimacy that the movie is attempting to project. With One Night in the Temple, these Louisiana Music Hall of Famers prove again why they’re one of the most underrated hard rock acts out there. With the layers of distorted guitars stripped back, Lillian Axe is just as compelling and entertaining. This is an album that makes you wish you had been in the temple that night.